Discussion in 'Completed Pin Sales' started by speedwaystar1, Mar 29, 2018. Thanks for posting the image , I couldn't load of for some reason . ‍♀️ can you put me down for Incredibles and Wall-e? All due refunds should be out now for Ursula. Please lmk if I made any errors or if you didn't receive yours. Not a problem. I’ll wait till the Wall-e date gets closer. Not sure if this list has been posted somewhere else yet but could I be put down for a toy story when it is thanks. Can I get in on the pick-up still for the fine and dandy? Looks like 2 spots open. If so I'll take them both. I have left the parks KJackson but I can pick up next week. PM incoming. Hi! I have a question in preparation for a May pick-ups thread. Are they still selling the DLR Mascots blind bags? I have almost all of the WDW mascots but can never find bags from Anaheim. I prefer the fun of the bags to just trading for the individual pins. Thanks! For the DLR, I have zero. I can look next week, pm incoming. Connies_Hobby and Pilotprincess916 like this. I'm planning/hoping to attend the June event at Disneyland. So I am willing to do picks ups via the RSP process. As soon as Disney publishes the date for Disneyland, we can post the selections. 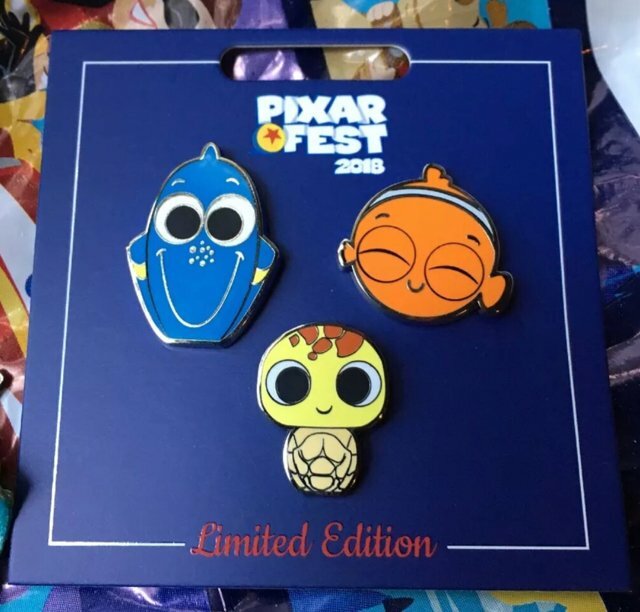 I’m interested in all 6 of the Pixar Fest Annual Passholder Pins! I’m also interested in these if you can get them and any others like them that are released. Must. Have. All. Pixar. Pins. You can request these in the May thread!